Fitness advocate and founding member of the Rollettes dance team Maria Rabaino is embarking on a journey to help friends who roll lead healthier lives. Meet Maria and learn more at the Abilities Expo Chicago on June 29 – July 1, 2018. The day before Valentine's Day in 2012, Maria Rabaino experienced a life-changing event that set her rolling down a path that she could never have imagined. At 18 years old, she was riding as a passenger when she was involved in a traumatic car accident that was the result of drunk driving. The vehicle struck two trees and Maria endured multiple internal injuries, including an incomplete L-1 spinal cord injury. Maria wasn't yet aware—but her SCI would be a turning point and the start of the greatest friendships and adventures she'd ever experienced. As is common with spine-related injuries or diseases, Maria's prognosis wasn't entirely accurate. Initially, doctors believed there was no connection between the nerves across her injury. Then 6 months later, she started getting slight movement and control back. Maria did her rehabilitation at Shriners Hospital of Northern California in Sacramento and can't say enough good things about the experience. Supported by a family that kept her in good spirits, she committed herself to figuring out life after SCI. Maria was connected with a mentor in the hospital that answered a lot of questions and also told her about a show that was getting ready to debut on the Sundance Channel. 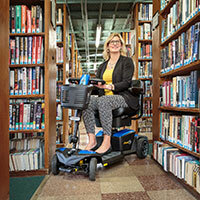 It was called Push Girls and it would feature five successful, active women in wheelchairs. 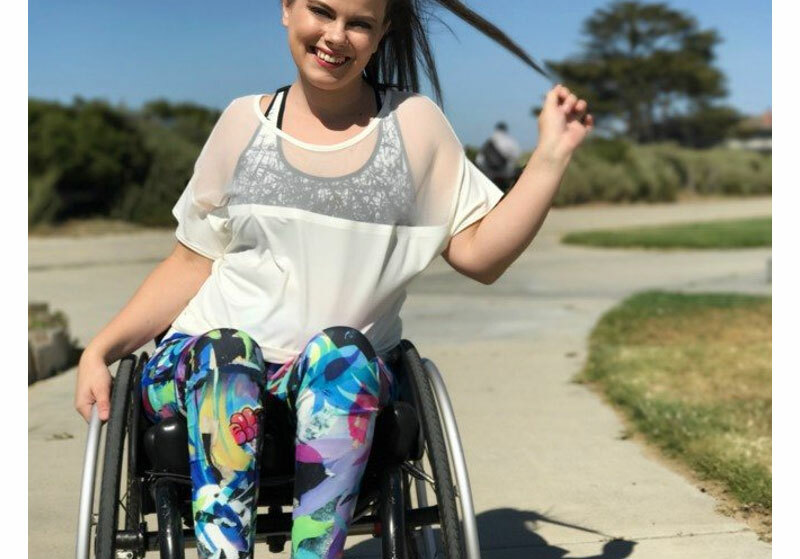 The show became a huge source of inspiration and motivation for Maria—and she felt a special connection with the youngest member of the Push Girls cast, Chelsie Hill. She and Chelsie were close in age, were both pretty recent injuries and both had been injured in a drunk driving accident. Maria's parents decided to reach out to Chelsie's dad via social media and were surprised when they got a response. Maria remembers how meaningful it was the day that Chelsie called and they talked for the very first time. Little did they both know, it was the start of a beautiful friendship. The two women stayed in contact and, five months after Maria's injury, Chelsie drove to Sacramento so they could meet in person. Their friendship only grew from there and before long, Chelsie invited Maria to participate in a dance showcase that she was planning, called "Dance For Life." Eager to continue building relationships and staying active, Maria happily agreed to join the showcase. What was originally supposed to be a one-time performance evolved into a dance team, which eventually became the Rollettes that we all know and love today. The bond that Maria shares with Chelsie and the other members of the dance team has been instrumental in building a life she loves after her injury. "My friendship with Chelsie changed my life and showed me how great life could be. We motivate each other and support each other—we're a sisterhood," she said. As is common after a spinal cord injury, Maria says she gained some weight following her accident. She recalls not being able to wear her jeans anymore, transferring became more difficult and at some point, she realized that she'd gained more weight than she'd thought. "Nothing specific happened, but I remember waking up one day with a desire to be healthier and live a healthier life." It was time, Maria decided, that she was taking control of her own health. 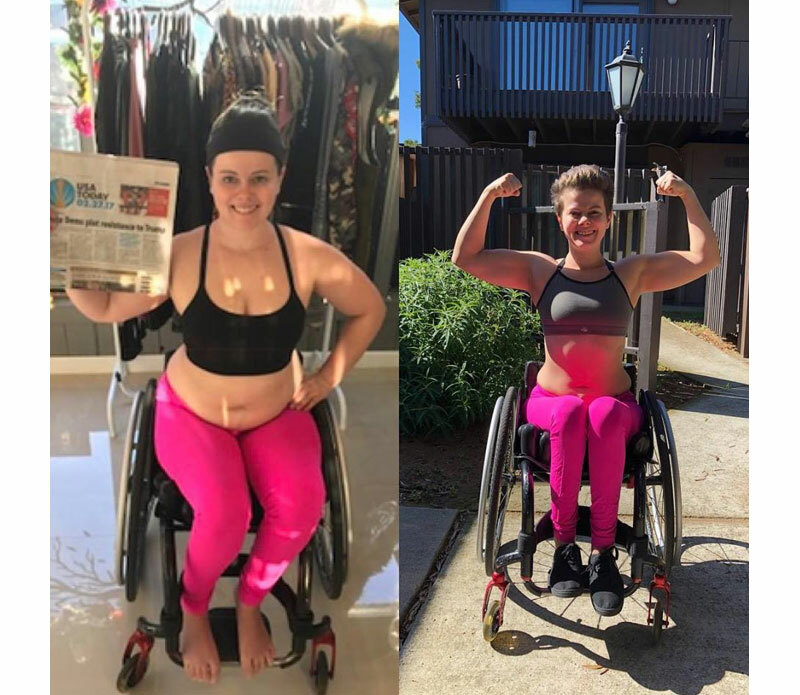 She joined an Instagram fitness challenge for accountability and, although she didn't win, she says it was just what she needed to really commit to her personal fitness. The challenge motivated her to try new workouts and she began feeling better in no time. She even bought a virtual, customized workout and nutrition plan and has seen great results. Maria says soon after adopting a regular workout routine, she began dropping major body fat and building strength in her upper and lower body. She's made progress with the movement below her injury and has much more confidence. Via social media, Maria started getting questions about her workouts and requests to help people in their fitness journeys. Motivated to help others on a larger scale, Maria decided to pursue certification to become a personal trainer. This June, we invite you to join Maria and the Rollettes as they launch an initiative to help people who use wheelchairs work out and stay fit. This is a part of the Rollettes #BeBoundless18 campaign, and you can learn more and take part by visiting the Rollettes' website. "We have launched this campaign because we believe that we are anything but bound to a chair," Maria says. "It has been a huge honor to be a part of this effort. It's entirely frustrating to hear people say I am wheelchair-bound and we aim to show that's not who we are!" During the month of June, Maria looks forward to supporting people of varying abilities with workout ideas and fitness routines. Maria's go-to product is the discreet Cure Twist®. The sterile, single use, Cure Twist® intermittent catheter by Cure Medical is similar to the design of small cosmetics, and is preferred by women who value discretion and convenience. She says, "I LOVE them. They're so easy to use!" "What I really like is how it's so simple to put the catheter back in the container to dispose of after use. You can roll out and throw it away and no one even knows what it is," Maria explains. Ready to use, it features an easy, twist open top and polished eyelets on a pre-lubricated straight tip that allows for 'No Drip/No Mess' cathing. The Cure Twist® is offered with a universal funnel end for maximum compatibility with drainage solutions. What's Next for Maria Muscle? Maria will continue her work with the Rollettes, participating in dance performances and mentoring other women to live "boundless lives." She invites YOU to take part in their online fitness challenge this June! Maria says, "Life does throw curve balls, but the way you handle those events is how you live your life." You can connect with Maria on Instagram, follow the Rollettes on Facebook, and meet both at the Abilities Expo Chicago on June 29 – July 1, 2018 where the Rollettes will be performing. Get your free pass to attend here. Find out more on why Maria uses Cure Catheters when you stop by the Cure Medical booth, too. Other special guest stars will be appearing there in booth #810 as well. 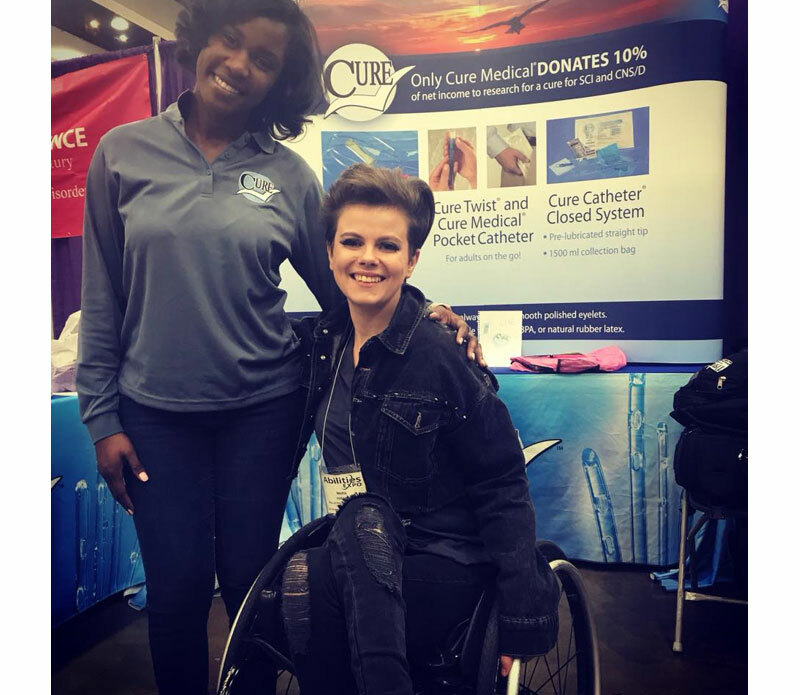 Cure Medical is the only medical device company that donates 10% of net income from every catheter we make to fund medical research in pursuit of a cure for paralysis and urinary retention. Thank you for choosing a Cure! Visit Cure Medical in booth #810 at the Chicago Abilities Expo, June 21-23, 2019.